The areas covered include all of the Hindmarsh Shire, the central part of the Yarriambiack which is north of the Dimboola-Minyip, Warracknabeal-Stawell, C Loats and Donald-Murtoa Roads, and the northern part of the West Wimmera Shire. The end of the fire danger period presents the opportunity for burn-offs without the need for a permit, but there is still a requirement to register any planned fires with the Emergency Services Telecommunications Authority (ESTA) on 1800 668 511, and to notify neighbours. 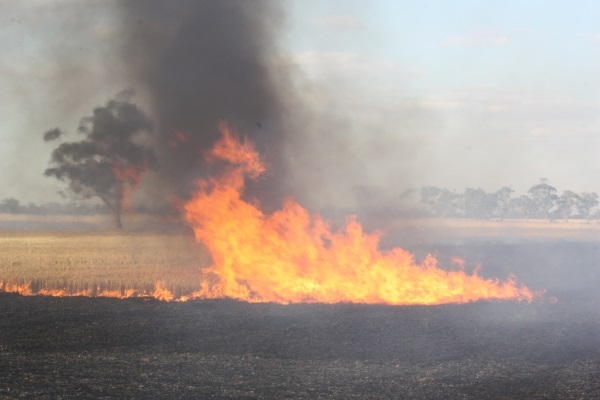 With the end of the Fire Danger Period, the risk of damage caused by fires that escape is not eliminated and residents and farmers wishing to take advantage of this are still encouraged to be vigilant as they remain responsible for any fires they light. Further information about fire restrictions and what you can and can’t do can be found on the CFA’s website.